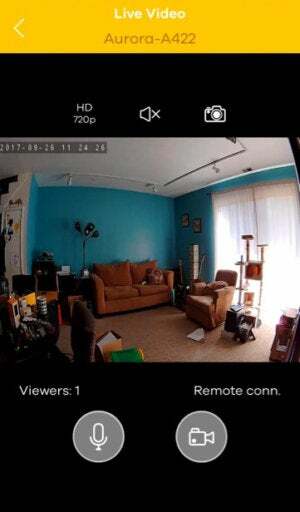 This home security camera has some nice features but it's a few app updates away from greatness. 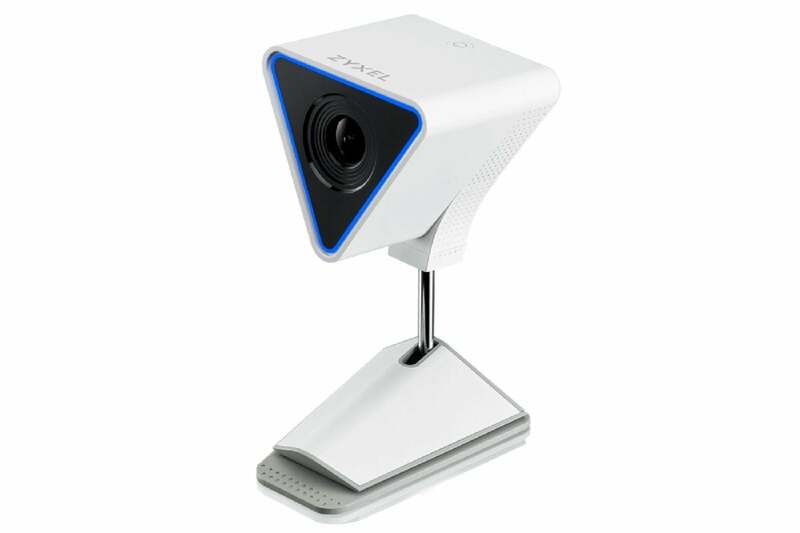 Zyxel, a company best known for its networking products, makes its first foray into the crowded home security camera space with the Aurora Cloud Access Camera ($160). While it makes a strong splash with its design, some app issues indicate it’s still a work in progress. The Aurora cuts a unique figure among its competitors. 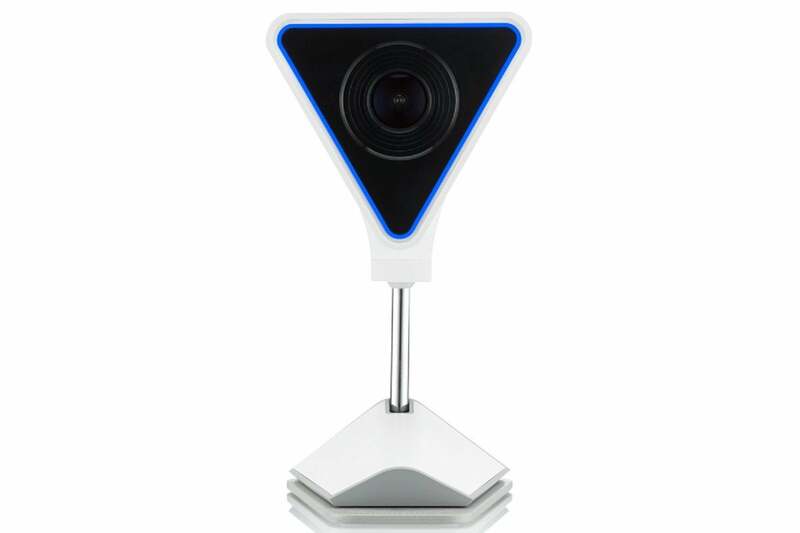 The camera is housed is triangular body that sits on a metal stem connected to its base. Altogether it stands just over 5 inches tall, and both its size and design are guaranteed to draw eyes to it, as is the triangular LED that rings the lens. The camera’s base is magnetic, so in addition to placing it on a table or shelf, you can mount it to magnetic surfaces. You can also mount it to a wall or ceiling with the included mounting kit or remove the camera body from its stand and place it flat side down. The Aurora can be placed on a shelf or table or mounted to a wall, ceiling, or magnetic surface. The Aurora has a 145-degree field of view with up to 1080p resolution. It can record video in 24/7 continuous mode or only when it detects motion. In the case of the latter, it can push notifications to you via the app or alert you with an email or both. It also supports night vision via LED and has a built-in mic and speaker for two-way communication. You can store up to 16GB worth of video and screenshots in the camera’s onboard module. This onboard storage isn’t expandable, but if you need more, ZyXel’s spokesperson says the Aurora is compatible with Synology NVRs and that company’s Surveillance Station solution, which includes intelligent video analysis and additional video monitoring tools among other features. Check out Synology's site for more info. The Aurora app has clean, intuitive layout. My time with the Aurora got off to a promising start. Once I downloaded the Aurora app, I just plugged in the camera and followed the prompts to connect to my Wi-Fi network. It was a seamless setup and took perhaps two minutes to complete. The Aurora appeared on the My Cameras tab and we were up and running. When I tapped on the Aurora to access the live feed, however, nothing happened. As a “connecting” message appeared, I gave it a full 60 Mississippis to launch, but it never did. I finally accessed it after a couple more tries. This would be a fairly consistent issue: When trying to access the live feed from a cold app launch, I’d have to tap the feed two to three times before I could see the live stream. That’s particularly disconcerting when you get a motion detection alert and there’s possibly an intruder in your home. The camera’s image quality is excellent, with crisp detail and rich color. It was good enough that I mostly stayed at 720p and spared myself some bandwidth. Night vision was great as well, with lots of contrast. Despite the hiccups with the live feed, the Aurora app works fairly well and has a clean, intuitive design. Camera controls are placed above and below the streaming feed and include a toggle for the camera resolution, mute and mic buttons, and triggers for taking a snapshot or manually recording video. Another menu on the My Cameras screen slides out when you tap it and provides access to more features and settings: turning the LED on and off, arming and disarming the camera, and accessing recorded video clips and other settings. Here again I ran into issues. When I first tried to turn the LED off it didn’t go dark though the app showed it as off. And a few times when I tried to access my recorded video clips, the app said the camera was offline, even though it clearly wasn’t. Motion detection, on the other hand, performed faithfully. The app doesn’t include sensitivity settings for the motion sensor, but you can reduce the incidence of false alerts using zone detection. This allows you to define specific areas to monitor for movement using by selecting up to 25 squares on a grid overlay on the image. I used it to block out the area where I pen my dog when I’m out, and it worked flawlessly. By default, the Aurora is armed to record every hour of every day. You can change that in settings to either record only motion-detected events or schedule the camera to record during certain times of day, such as when you’re at work and the kids are at school. On the whole, the Aurora is a good security camera but its companion app, which admittedly is in version 1.0, really hobbles it. When you get motion alerts, the uncertainty of waiting to access your camera feed makes an already anxious situation unbearable. And the other misfires I encountered blemish the experience of what is otherwise a well-designed app. Presumably, these issues will be resolved in future software updates, so it may be best to wait until the app matures before pulling the trigger on the Aurora. 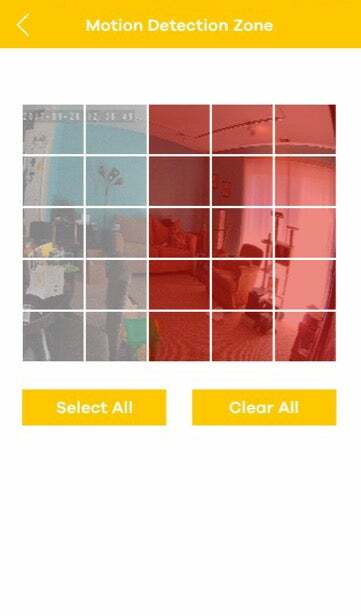 The Aurora Cloud Access Camera is a promising home security solution, but its buggy app needs some work.